British Thoroughbred Retraining Centre and Betfred. We are offering you a day to remember and giving you the chance to experience top-class racing action at the Betfred BTRC Day this November. Two lucky winners and a friend or partner will get the chance to enjoy this exciting day of racing at one of the country’s most well-known racecourses. 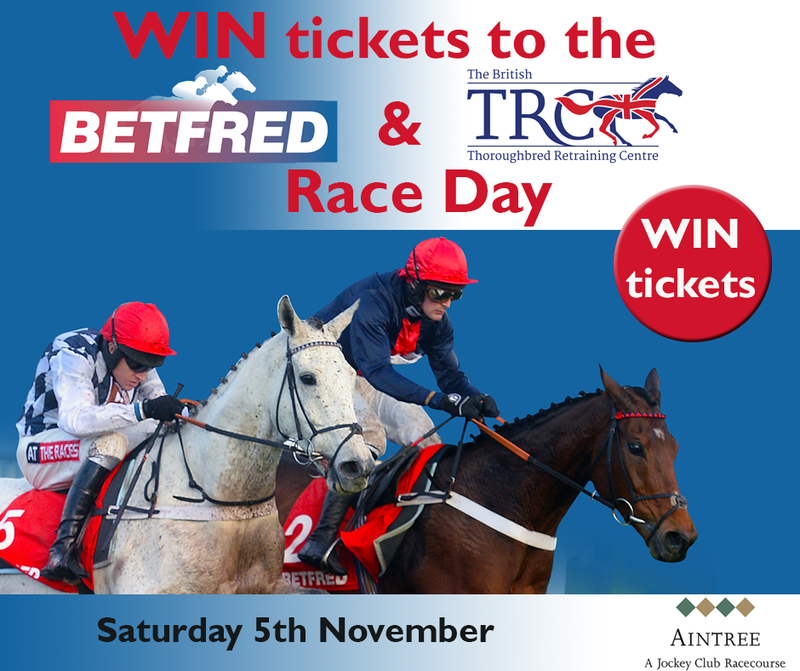 The World’s Largest Independent Bookmaker, Betfred is kindly supporting the BTRC charity day held on Saturday, November 5, at Aintree Racecourse, near Liverpool and the winners will receive entry tickets for this spectacular day out. The British Thoroughbred Retraining Centre (BTRC) is the biggest in Britain dedicated to the retraining and rehoming of retired racehorses to give them happy and useful lives once their racing days are over and was the pioneer in the field when launched as the Thoroughbred Rehabilitation Centre 25 years ago. To celebrate the BTRC’s 25th Anniversary, Betfred and Aintree are keen to promote the incredible work the charity does retraining retired racehorses, through this fantastic race day. The day is also aimed at making race goers more aware of the journey racehorses face when leaving the world of racing.